Dr. Robert B. Voas, the Human Factors Assistant to MSC Director Robert Gilruth and part of the team that selected the first NASA astronauts in 1959, had developed a comprehensive protocol for selecting the nation's first scientifically-trained astronauts. Though these were not official criteria, they were developed in conjunction with the In-Flight Experiment Panel and POISE groups to create a starting point for further development. These preliminary ideas were drafted on 25 April 1963 and sent to Gilruth on 6 May 1963, less than two weeks prior to the launch of the final Mercury mission (MA-9). Though it was suggested that the announcement for scientist-astronaut recruitment could be made during the MA-9 flight or press conferences, it would be a further eighteen months before any official announcement was actually made. Can you train a scientist to fly a jet and then fly in space? This was the question posed before the members of the two scientist-astronaut selections proved that you could. 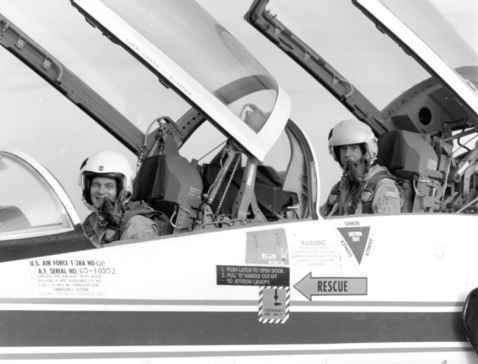 Here, Allen and Lenoir from the 1967 selection sit in a T-38 jet, used for proficiency flying and travelling between NASA facilities and contractors across the United States. had begun discussions with representatives of the country's scientific community, with the objective of determining the best way of including scientists in the Apollo programme. The plan was not to include scientist-astronauts on early missions, but to do so on later ones, once the mission hardware had been qualified and the first landings had been achieved. It would be a balance between engineering and operational requirements (as well as scientific objectives) that would determine the selection process and the criteria that would be considered to narrow the field. The proposal to bring in scientist-astronauts seemed to point towards 1965, and a series of meetings was held throughout September 1963 to define the selection process. The appropriate mission to fly a scientist-astronaut: There was agreement that geologists and geophysicists were logical choices for lunar surface missions, but there was some disagreement over flying medically and psychologically qualified astronauts on extended duration orbital missions to evaluate the problems and phenomena such flights would encounter. The first intake of scientist-astronauts would therefore focus on geology and geophysics for lunar missions, and medicine and psychology for orbital missions. Timing for Selection: Announcing the selection within the next year was generally agreed, but the size of this intake would be restricted to six. Flight School Training: The MSC position required all scientist-astronauts to be flight trained, but there was also an argument in favour of selecting and training scientists with no flying experience. This might help to determine how applicable aircraft flying skills were to flying a spacecraft in a vacuum. It was agreed that this could be done, but it might create a high "washout rate" that would have to be factored into the selection process. It could also pose a recruiting problem, as the scientists would probably not volunteer if there was little actual prospect of making a space flight. The solution they proposed was to give candidates with flight experience priority, but those with little or no flying experience would also be accepted if they matched other criteria. NAS Participation: The National Academy of Sciences would assist in publicising the process and would propose individuals to become consultants to NASA, to assist in assessing the scientific credentials of the applicants. The whole selection process would remain within the NASA organisation. In summarising the meeting, Voas stated, "It appears to me that those in Headquarters are receptive to a proposal from MSC for scientist-astronauts and are ready to approve an appropriate program." By the spring of 1964, NASA was defining which outside organisations should be asked to assist in the recruitment and selection process. During the summer, the announcement was defined in detail and the proposal to select a further (fourth) group of pilot-astronauts was added. 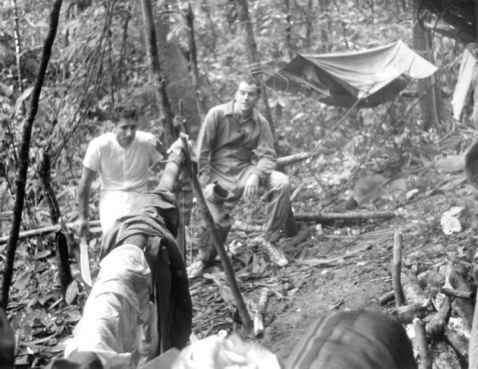 A combination selection proved unworkable, so the scientist-astronaut selection was set for 1965, with the pilot-astronauts due to be selected early in 1966 to allow the scientist-astronaut candidates to graduate from pilot school prior to both groups completing the academic and survival training programme. Using the guidelines mentioned above, two categories of experience would take priority - one to support lunar landing missions and the other for Earth-orbital missions. Though it was clear that the plan was to send geologists to the Moon and to assign doctors to long duration space flights, NASA instructed the NAS not to limit their selections to just those disciplines, and to give consideration to other appropriate areas of speciality, such as meteorology and astronomy.